I am trying to expand my set design and construction skills with our upcoming production of Little Women. I would like to add crown molding to our painted muslin flats. 1) We have a very limited budget. What do you recommend to use for crown molding? Where do you find it? 2) How do you attach it to the flat? Crown Molding can be a great addition to a box set, however, it's sort of pricey at 1.50 a foot or so. Often, the same effect can be achieved with a piece of 1x3 pinned up off the top rail of the flat; although, that can read as sort of "western" or lower class. A cheaper and as skillful alternative would be to paint the details of crown molding on the flat. That can look pretty realistic if it is done well, and it's a cool thing to master-- once you've got it, you've got it forever. If you are set on crown molding, I would check the local lumber yard or trim moldings specialist supplier, you might be able to get some of it for a discount as they often have cupped, or discarded pieces-- and, since you are painting it? it doesn't matter what species of wood you get it in as long as it has the same profile. In terms of attachment to the flat, it can be pinned on to the rail with a crown stapler and kept at the appropriate angle with a little backer block cut on the angle to be glued behind. Eons ago, when the ITS Festival was still at Ball State, there was a workshop presented by a man who called himself "The Cardboard King." He made everything from armor to crown molding from cardboard! 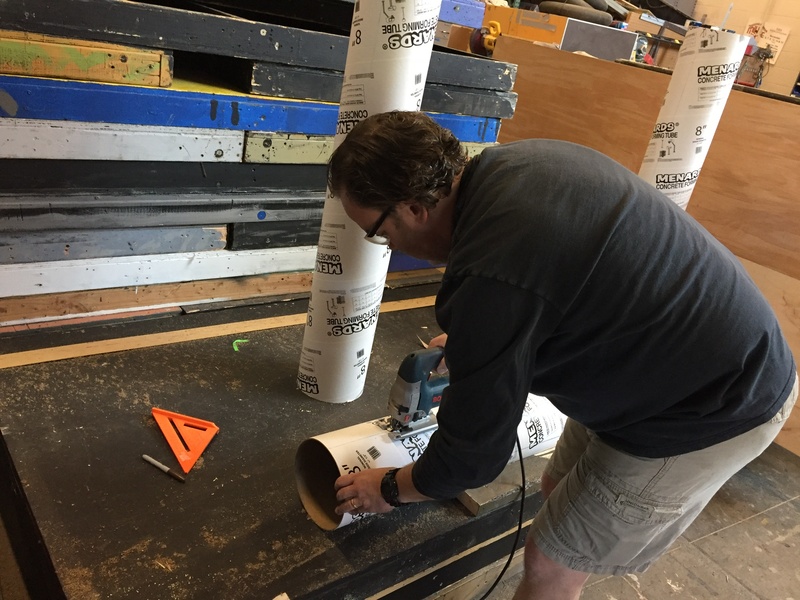 It would be a great project if you have a stagecraft class or a dedicated group of technicians. He used every type of firm cardboard that has a waffle layer. It is time consuming, but your only cost (assuming you have hand tools) is glue and paint. If you decide to use the cardboard, turn the waffles in each layer 90* from the layer under it for strength. Good luck! We've used foam to create the effect as well. Sheets of foam can be bought at most hardware stores. Cut the desired with, then using a router, you can create depth and contours. You can then use a heavy duty glue gun to hold it in place. Just be sure it doesn't have the plastic film on it when you paint it. I started using peel and stick molding I found on Amazon. Cheaper than wood and no woodworking skills required. Looks great from a distance. I've had some great success with the cardboard pieces that typically come on the corners of washers/dryers. You can paint them and since it's a heavy cardboard, it doesn't soak up the paint or warp the cardboard. Also since they have angles already, you can hang them on top of the flats, add a few screws in the top to secure, and you're all set! Hi Katie, Crown moldings are very expensive sometimes as much as $4.50 a linear foot. You would also need to have a top piece of wood, either 1 x something or plywood cut to the correct size, to add stability to the crown molding. It can be attached with either screws or nails. If you have some good painters there is a technique, which I have used in the past, where with care you can paint realist molding. I'm on spring break currently, but when I return to school I will scan and email the directions to you. 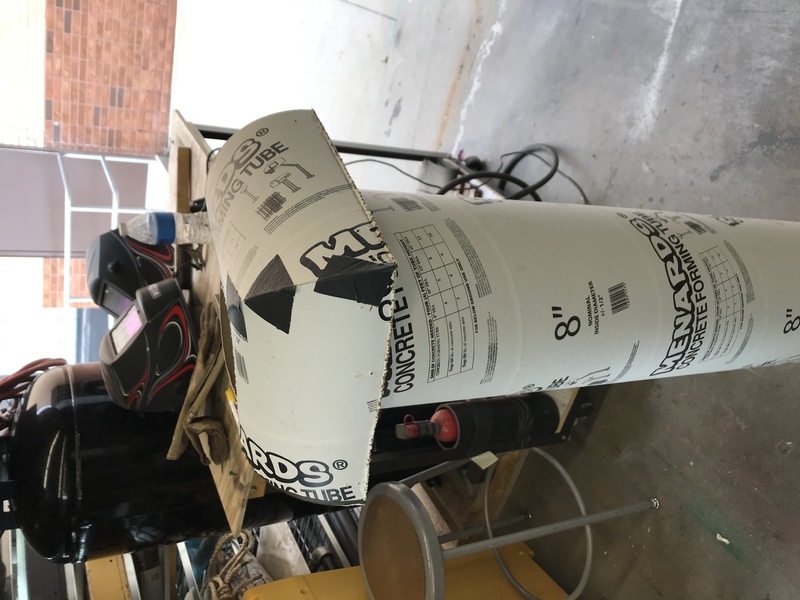 We have used 8" diameter cardboard concrete construction forms ("Sonotube" is a brand name) cut in fourths for the cove part of the crown molding. We snapped chalk lines and used a hand held jig saw to cut the tube. Make inside and outside corners as small units. I know I haven't answered how to attach this to a muslin flat.